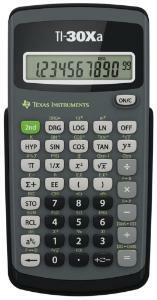 The TI-30XA is a solid solution for general math, algebra, trigonometry, and statistics. This battery-powered calculator adds, subtracts, multiplies, and divides fractions entered in traditional numerator/denominator format. It also processes trigonometric functions, logarithms, roots, powers, reciprocals, and factorials. One-variable statistics include results for mean and standard deviation. 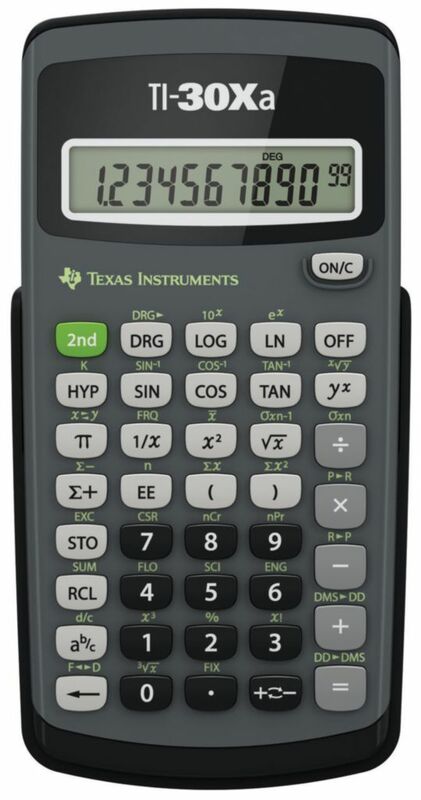 Ordering information: This calculator includes a slide case.